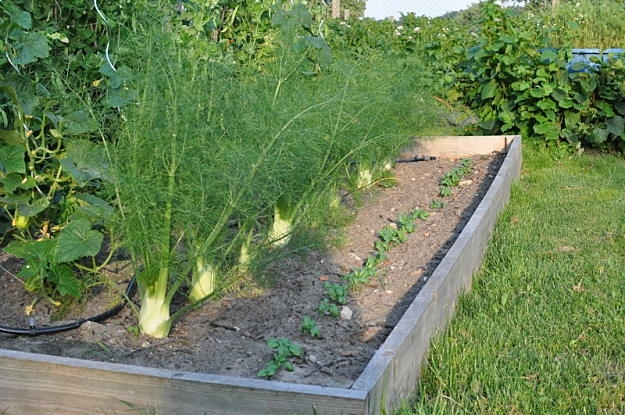 When I look back at my vegetable garden layouts from years ago, I see that everything was planted in neat and segregated rows. 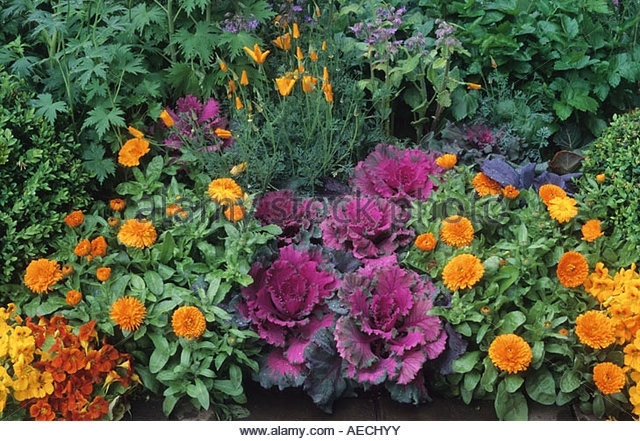 Every vegetable had its own area and would not dare encroach on its neighbors. 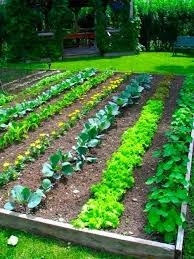 I probably did this as I wanted my vegetable garden to be visually pleasing. It's also much easier to be linear and not creative, at least for me. Today I'm no longer concerned about my vegetable garden being beautiful and have managed to be somewhat creative when putting plants in the ground. The change occurred when I discovered companion planting. 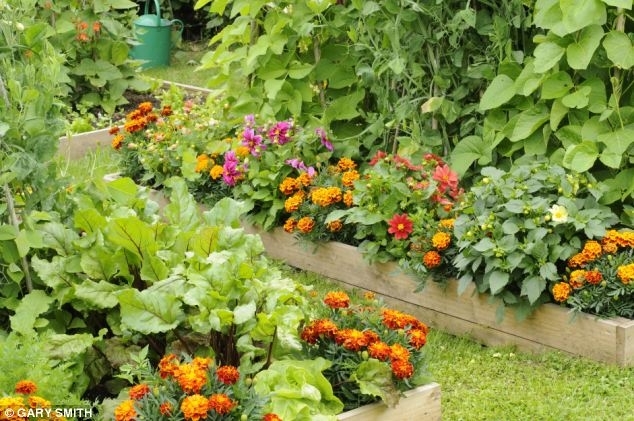 At first, companion planting may seem like an odd idea. However, if you consider how plants grow in nature, they don't by type. There's always a mix of species with different niches and ecological functions. I'm not aware of any research to support interactions between plants, but I do know from experience that many plants have beneficial relationships. 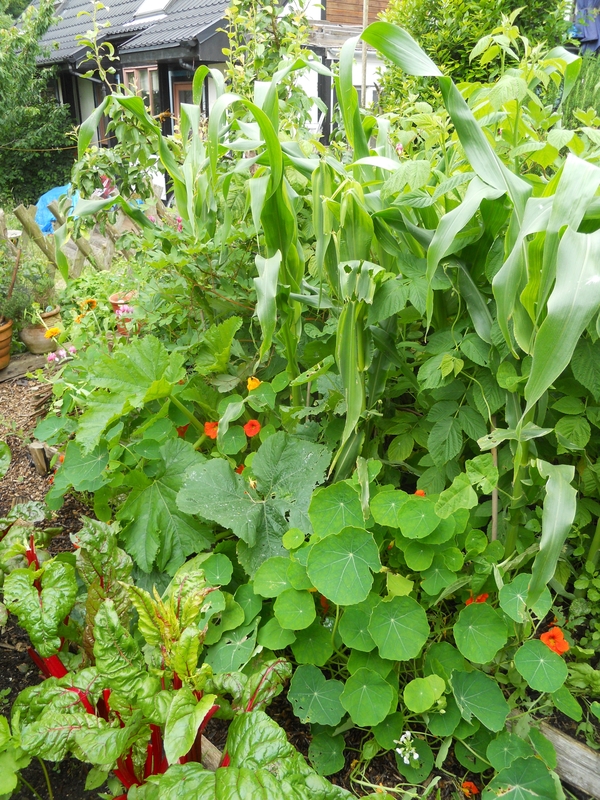 When we plant edibles of only one type together, we set our gardens up for challenges. Companion planting is nothing new. 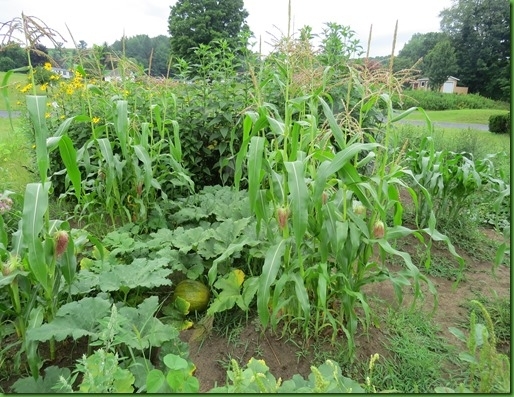 Native Americans historically planted corn, beans and squash together in a so-called “three sisters” system. 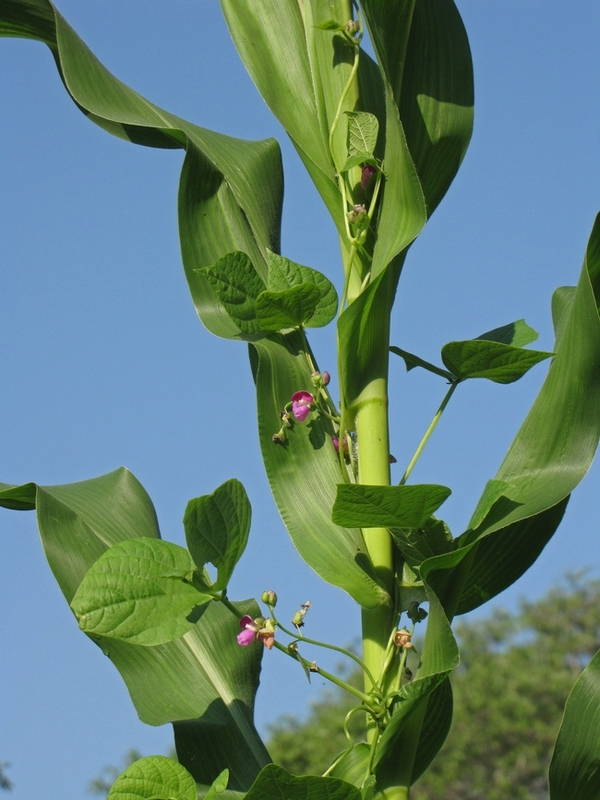 Beans are nitrogen-fixers and continually supply this macronutrient to the soil. Corn stalks provide structure for beans to climb, and squash vines provide a living mulch with their broad leaves that shade the soil, reducing evaporation and inhibiting weed germination. These three species have similar environmental requirements. When suitably spaced, they don't unduly compete for water and nutrients. Mimicking nature's biodiversity might make your garden look messy, but your plants will be more resilient and probably suffer fewer losses from insects and disease. 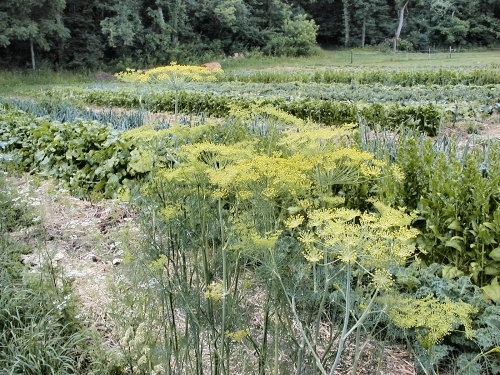 Companion planting helps minimize spraying. For example, marigolds deter many unwanted insects and are especially good at luring Japanese beetles away from your herbs and vegetables. In the morning, you will find hundreds of groggy bugs clinging to the marigold blossoms; pick them off and drop them into a bucket of soapy water. Mosquitoes and flies can be kept out of the garden by planting basil and rosemary. Slugs can be deterred by planting garlic, and cabbage worms by planting mint. Growing a wide diversity of plant species can ensure that if one crop takes a beating from pests or disease, you will still have many others left. Farmers have long known that monocultures are especially vulnerable to diseases and pests. 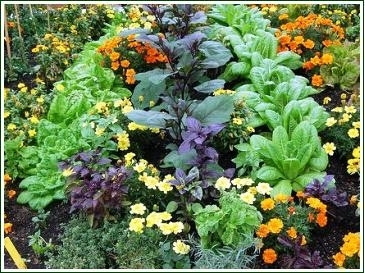 However, companion planting can create such a diverse environment that many diseases can't get established or spread easily. By minimizing expanses of exposed soil, companion planting keeps soil moist and helps prevent erosion. Vining plants like squash and cucumbers help shade the soil. 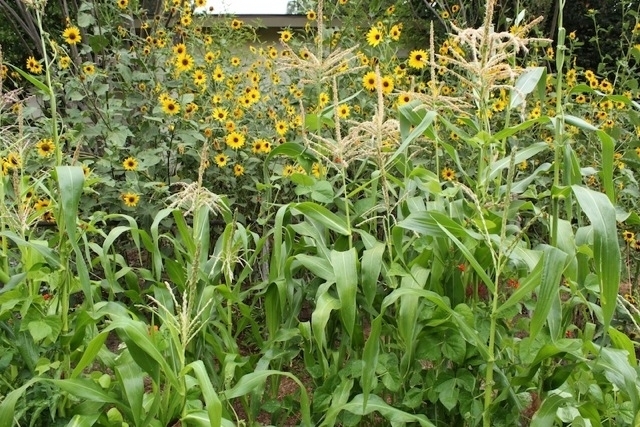 In times of drought, this feature is perhaps one of the most important benefits of companion planting. Having soil fully planted also blocks weed growth. 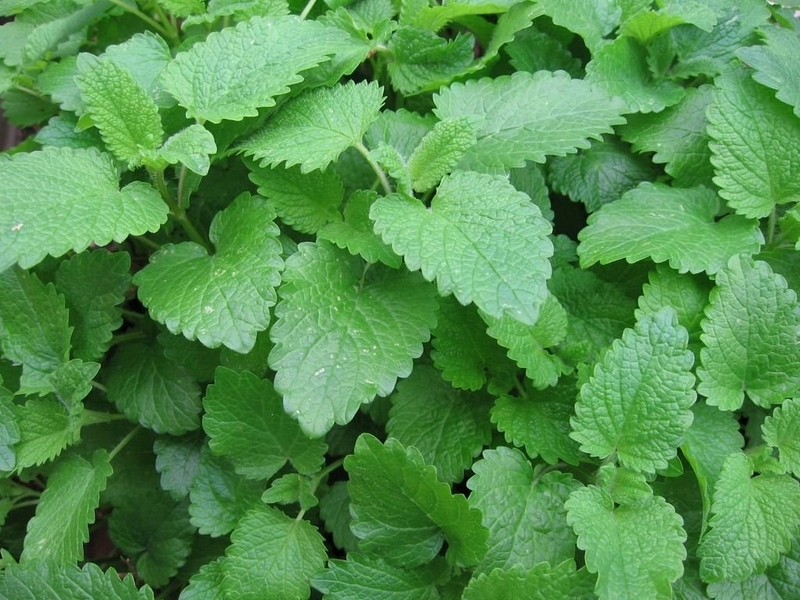 What self-respecting gardener doesn't want to eliminate weeding? Pollinators and beneficial insects of all types will be more likely to spend time in your garden if it offers plenty of habitat and food. 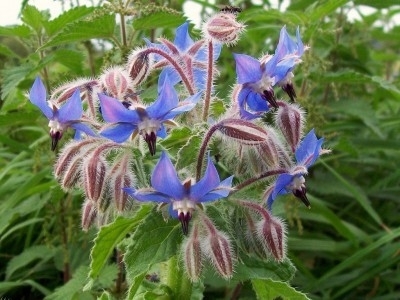 Borage, marigolds, nasturtiums, calendula and sunflowers will attract bees and other pollinators. 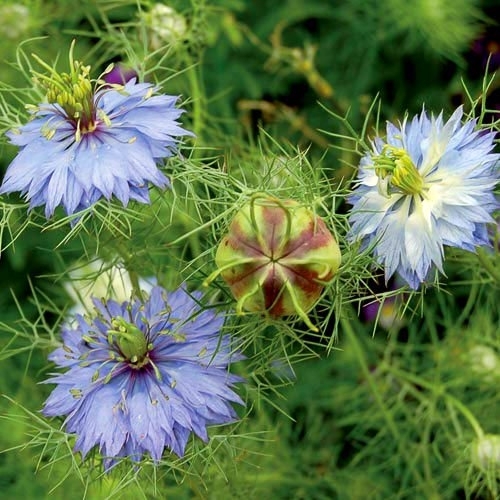 Dill, caraway, coriander, fennel and lemon balm attract beneficial insects. Keep track of what you plant and where you plant it and observe what happens. 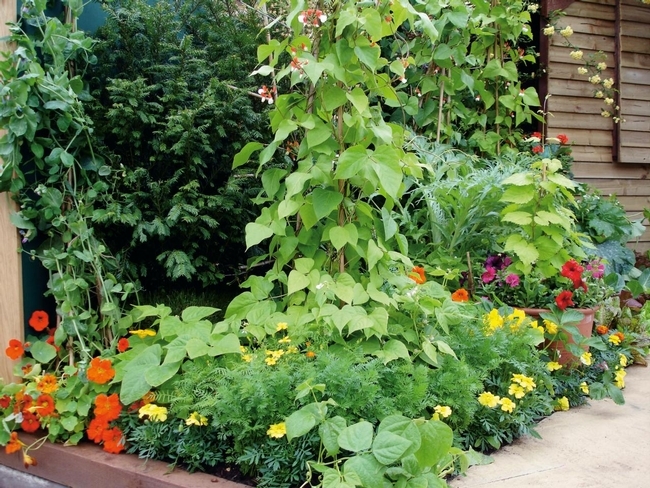 Companion planting is easy, practical and definitely fun. Tomato Plant Sale: U. C. Master Gardeners of Napa County will hold their sixth annual Tomato Plant Sale on Saturday, April 14, from 9 a.m. until sold out, at 1710 Soscol Avenue, Napa. Find more than 4,000 tomato starts in 28 varieties, from popular heirlooms to new hybrids. These Master Gardener-grown seedlings include varieties suitable for eating and cooking, plus cherry tomatoes of many colors, and early, mid- and late-season varieties. A team of tomato experts will be on hand to answer questions. Master Gardeners are volunteers who help the University of California reach the gardening public with home gardening information. U. C. Master Gardeners of Napa County ( http://ucanr.edu/ucmgnapa/) are available to answer gardening questions in person or by phone, Monday, Wednesday and Friday, 9 a.m. to Noon, at the U. C. Cooperative Extension office, 1710 Soscol Avenue, Suite 4, Napa, 707-253-4143, or from outside City of Napa toll-free at 877-279-3065. Or e-mail your garden questions by following the guidelines on our web site. Click on Napa, then on Have Garden Questions? Find us on Facebook under UC Master Gardeners of Napa County. Tomato Planting and Growing Tips. Presenting: Our Tomato Sale Tomatoes! The Many Colors, Scents, and Tastes of Basil. Monica Finigan: Great article, Eric!